2015 was the sixtieth year of Mr JA O’Dwyer’’ involvement in the ISK – it was also his last. 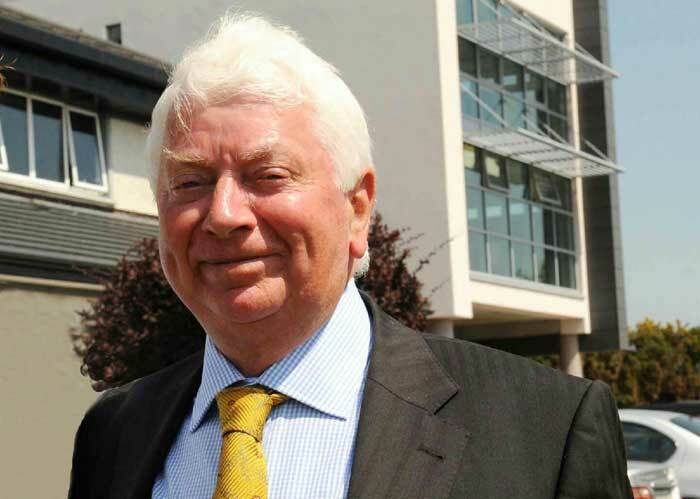 Over the course of sixty remarkable years at the helm in the school Joe witnessed many changes in the school, the town of Killorglin and further afield. He was instrumental in bringing many of these about and had no hesitation in providing leadership where needed. During his time Joe provided a well rounded education to thousands of children in the locality. Joe expected & demanded hard work from his students.These expectations were based on a wish to see each of his students reaching their potential. To some students he will always be remembered as a formidable disciplinarian & a hard task master but to those who came to know him as a person, not just a teacher, they became aware of a more complex human – a man driven by a deep religious faith, a strong work ethic, a family man- proud of his community . He had a fundamental belief in the positive side of human nature combined with deep wells of personal kindness and generosity. Joe’s many contributions to education in Killorglin & in Kerry, one must also talk about his wife Bairbre. She came to Killorglin in the early 1970s and together they were a phenomenal team. Bairbre had a keen intellect, personal warmth, sharp humour and an unparalleled zest for life. Together, they had a clear vision for the future of the school and its students. They inspired colleagues, parents, students & the wider community with their aspirations. The present school building & grounds are a testament to their hard work. Sadly, Bairbre died young but she was a daily source of inspiration to Joe & her spirit is a constant presence in the school. Both Joe & Bairbre leave behind them a very proud legacy to the school. Each day, we, in the school try to live up to their remarkable memory.